Ask any wine expert what’s the best way to learn about wine, and they’ll tell you to taste as much as you can. But where to start? And for that matter, where to finish? There are almost 20,000 different wines for sale in the U.S. at any given moment. So even if you’re a zillionaire with a ton of spare time, tasting more than a tiny fraction of what’s available clearly is not an option. To save you from getting completely overwhelmed, here’s a 25-bottle starter guide to wine wisdom. You’ll need a budget of roughly $1,000, which sounds like a lot, but you don’t have to buy all of the bottles up front—one a week will suffice. Also, the point here isn’t to drown you in technical wine geekery. If you are keen to know the geological origins of Portugal’s Douro Valley, Google’s your friend. The purpose of this exercise is to leave you with a mental library of tastes that you can refer to anytime you try a new wine. In fact, maybe the thing to do is to think of this as a game rather than a rigorous course of study—like The Game of Life for wine. Follow the path in order. Each bottle leads to the next. You accumulate experience. But instead of retiring at the end, you wind up with a bunch of wine smarts and the rest of your days ahead of you. Not bad, right? 2 of 23 Courtesy of Frederick Wildman and Sons, LTD.
Every journey needs a good send-off, so begin with Champagne. It’s the ur–sparkling wine, the one after which all others are modeled. For a benchmark, open the NV Pol Roger Brut Réserve White Foil ($50), a brioche-scented bubbly from one of the last major houses that’s still family owned. Chardonnay is the most popular grape variety in the US. Familiarize yourself with the classic California style—ripe fruit, spicy oak notes—with a wine like the 2015 La Crema Sonoma Coast Chardonnay ($23). To set your palate definition for Pinot Noir, go to the source: Burgundy. 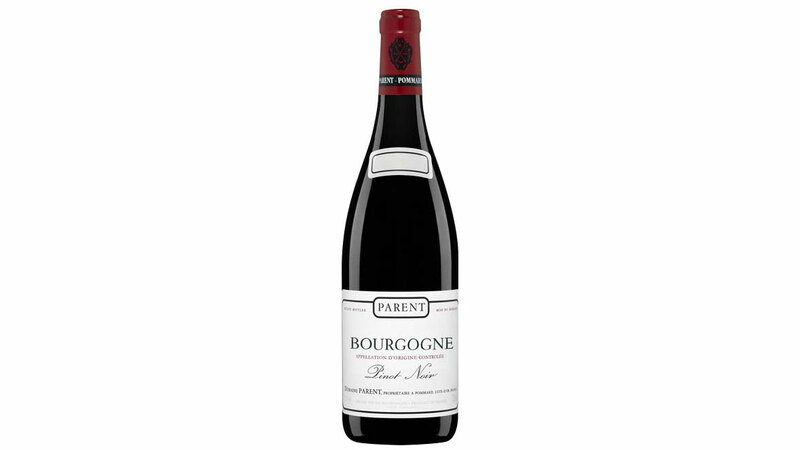 The 2014 Domaine Parent Bourgogne Pinot Noir ($30) shows how this grape, grown with care in the French region’s gently sloping vineyards, can offer intensity but remain light and graceful. Napa Valley Cabernet is California’s iconic red wine. Try a standard-bearer like the 2014 Joseph Phelps Napa Valley Cabernet Sauvignon ($75), full of blackberry and black currant fruit. Bordeaux is the most famous wine region in the world—don’t skip it. Most Bordeaux are blends, anchored by Cabernet or Merlot. And, contrary to the region’s image, you don’t have to pay a lot for an excellent bottle, like the tobacco-scented 2014 Château Sociando-Mallet ($40). If you taste this and the Phelps at the same time, try the Bordeaux first. Remember the oak-inflected taste of the La Crema? Now try its opposite: a crisp, lighter-bodied, almost chalky Chardonnay from France, like the 2016 Domaine Laroche Chablis Saint Martin ($26). Same grape, two distinctly different styles. As a counterpoint to the Pinot from Burgundy, open a more lushly fruity version from the Russian River Valley in Sonoma County, California’s premier source for Pinots. Seek out the 2015 Dutton Goldfield Dutton Ranch Pinot Noir ($44), from one of the AVA’s best vineyards. Time to leave the US and France behind and head to Italy. First stop: Chianti, because you can’t say you know Italian wine without having a sense of Chianti’s bright, taut character. A quintessential example is the 2015 Castellare di Castellina Chianti Classico ($24). 10 of 23 Courtesy of Frederick Wildman and Sons, LTD. Step up your Italian game with a bottle of Barolo, which is made from the Nebbiolo grape in northern Italy’s Piedmont region (and sometimes referred to as “the wine of kings, the king of wines”). The 2012 Marchesi di Barolo Barolo Tradizione ($53) captures the wine’s signature floral delicacy as well as its underlying tannic power. Europe’s third great source for reds is Spain, and Rioja is its most celebrated wine area. Go for a reserva from a traditional producer, such as the 2012 Marqués de Murrieta Reserva Rioja ($29). Its hints of vanilla and spice come from being aged in American oak. France’s Sancerre has been a premier location for Sauvignon Blanc since the early 1900s; New Zealand is the new kid on the block. Buy a couple of top bottles to compare: the flinty, citrusy 2016 Domaine Vacheron Sancerre ($34) and the peppery, grassy 2016 Cloudy Bay Sauvignon Blanc ($31). Odds are you’ll like one better than the other; use that knowledge as a guide. Not all Rieslings are sweet! For a comparison—and to understand why sweeter-style Rieslings can be just as vibrant as dry ones—open two bottles from top German producer Dr. Loosen: the 2015 Dr. Loosen Red Slate Riesling Dry ($18) and the 2015 Dr. Loosen Blue Slate Riesling Kabinett ($22), which has a slight amount of residual sugar. Hint for this step: First roast a leg of lamb (you’ll want something hearty to go with these wines), then pour a savory, cool-climate northern Rhône Syrah like the 2013 E. Guigal Crozes-Hermitage Rouge ($25) alongside a more luscious, fruity, warm-region Aussie Shiraz, such as the 2015 Hentley Farm Barossa Valley Shiraz ($28). And maybe invite a few friends over, too. All rosés taste alike, right? Light, simple summer sippers, perfect for poolside quaffing? Think again. The rosés of France’s Bandol region have the depth and character of great white wines. Open a bottle of the 2016 Domaine du Gros Noré Bandol Rosé ($32) and see for yourself. It’s been 13 years since the movie Sideways came out, and yet, thanks to it, some people are still locked into the idea that Merlot is...bad. Or, at the very least, uncool. Dispel this prejudice with a layered, world-class example like the 2014 Pepper Bridge Walla Walla Valley Merlot ($50) from Washington state. There’s more to Australian wine than cheap and cheerful Shiraz—Cabernet Sauvignon from the far western Margaret River area being a case in point. Indulge in a bottle of the graceful, red-fruited 2014 Moss Wood Ribbon Vale Vineyard Cabernet Sauvignon ($45) to get a sense of Australia’s surprising range. Argentina’s Mendoza region made its name on bargain Malbecs, but there are impressive, ageworthy bottles produced there, too. Invest a little extra on a wine like the rich 2013 Bodega Aleanna El Enemigo ($30) to understand the potential of these vineyards in the Andean foothills. Chenin Blanc from France’s Loire Valley is a variety that many people aren’t familiar with, but its vivid acidity and substantial pear and apple flavors have made it a sommelier darling. Get a sense of why from the racy 2015 François Chidaine Clos du Breuil Montlouis-sur-Loire Sec ($30). California is home to lots of famous wineries, but it also has an abundance of boundary-pushing young winemakers working outside traditional styles. Track down the tongue-prickling, spicy 2016 Donkey & Goat Twinkle Mourvèdre ($26) to experience a different vision of what the state’s wines can offer. Natural wine is a flash point for controversy. The term refers to wines made with minimal human intervention (little or no sulfur, no industrial yeasts and so on). Sometimes they’re wonderful, sometimes funky, often both. Test out the exotic 2016 Arianna Occhipinti SP68 Bianco ($28) from Sicily. As wine ages, it trades in direct, fruity flavors for more subtle, savory ones. Find a reputable retailer (such as K&L Wines in San Francisco or Millesima in NYC) and splurge on an older red like the cedary 2006 Château Grand-Puy-Lacoste ($79) from Bordeaux. Finally, taste a truly great wine. (You’ll overshoot your budget by a little, but what the heck!) What defines great? Nuance, complexity, history—on some level, greatness is indescribable, but it is tasteable. Open the 2010 André Brunel Les Cailloux Cuvée Centenaire Châteauneuf-du-Pape ($195), a spectacular Rhône red from a stellar vintage.